Albeit at different times of the year, every goalkeeper will face a period of downtime. These typically are at the end of June and to a lesser extent during a winter break, whenever that may be. From a psychological standpoint, taking a rest period can rekindle your hunger for exercise and help prevent burnout. Mental fatigue can be every bit as detrimental as physical fatigue and taking a rest day helps to recharge the psyche. All the above provide benefits of physical rest. This does not mean that you have to stop all development in your goalkeeping. Here is a list of things you can be doing to aid your performance without exerting yourself physically. 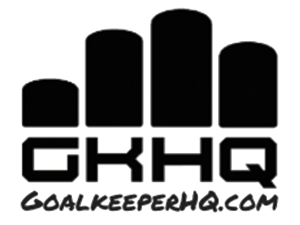 Embark on some self-evaluation, by reviewing your match analysis or by using the GKHQ Video analysis service. Join the GKHQ membership group to get all the latest videos & education in 12+ different themes, from Technical education to Parent “How To” guides. Research and apply for appropriate camps that will help you achieve your goals.